SKU: VP0001. Category: Indian Fire Bowls Old & New. Our Flat Cover Table Top Lids are not just limited to keeping your fire pit dry from the elements! At the end of the evening, your lid can be used as a snuffer enabling you to safely and easily extinguish your fire. 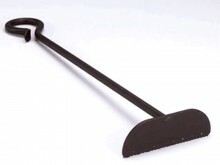 They also prevent the wind from blowing embers around your garden/patio area and keep any remaining ash dry for your next fire. 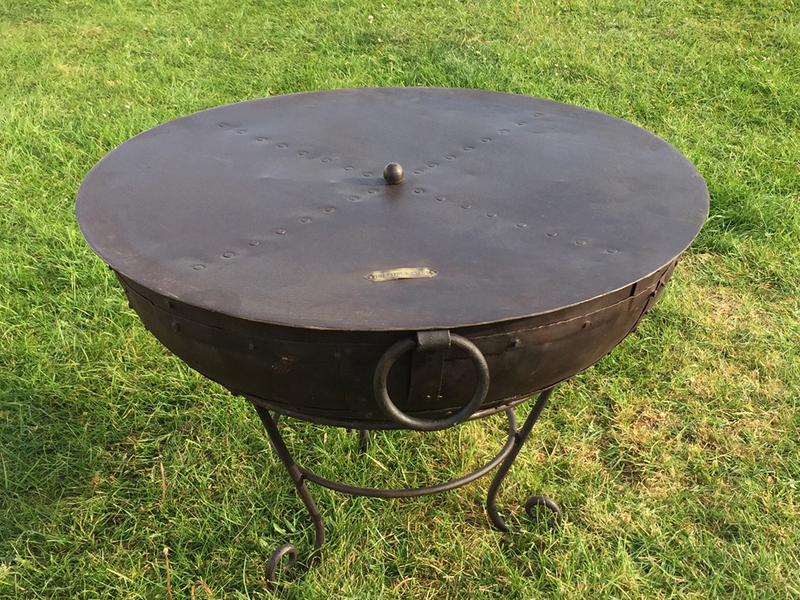 With an additional 2cm all round width, our lids also double up as a useful table area when your fire pit is not in use. Our lids are manufactured from mild steel and will oxidise/weather – this does not impact on their long term use or durability. As they are not treated, you may wish to consider painting your lid with stove paint or alternatively leaving it to take its natural course.